We’ve all heard about escalating mountains of data – and yes, there is a tremendous amount of data generated daily that must be stored, secured and organized. More interesting than the amount of data is the value it represents. Value that comes from analysis and the resulting insights. Data may store the next great business opportunity, societal advancement or scientific discovery. While we’ve made great progress as an industry in providing the infrastructure, tools and best practices to drive this analysis, limitations are also emerging. Not only is the volume and variety of data growing, but the velocity of desired insights is accelerating. To really tap into all of this data, we must remove the bottlenecks that restrict its flow and readiness for processing. 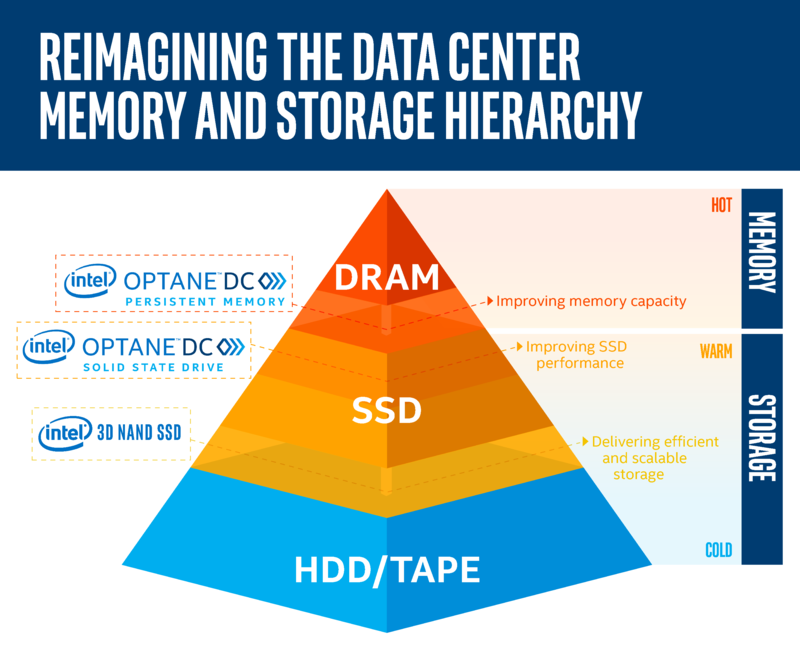 Today, we’re sharing the first in-depth look at how Intel is reimagining the memory and storage hierarchy for application developers and data solution providers with the upcoming introduction of Intel® Optane™ DC persistent memory. Intel Optane DC persistent memory represents a new class of memory and storage technology architected specifically for data center usage. One that we believe fundamentally breaks through some of the constricting methods for using data that have governed computing for more than 50 years. 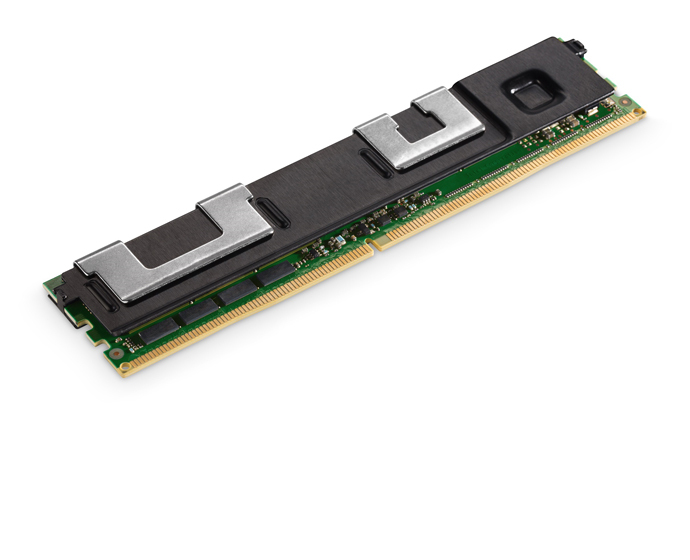 Unlike traditional DRAM, Intel Optane DC persistent memory will offer the unprecedented combination of high-capacity, affordability and persistence. By expanding affordable system memory capacities (greater than 3 terabytes per CPU socket), end customers can use systems enabled with this new class of memory to better optimize their workloads by moving and maintaining larger amounts of data closer to the processor and minimizing the higher latency of fetching data from system storage. Intel’s persistent memory will be available in capacities up to 512GB per module. High-capacity persistent memory in the data center allows applications to run without incurring the latency penalty of going out to storage over the PCIe bus. As developers adapt software, this new memory class is designed to enable cost-effective, large-capacity in-memory database solutions; provide greater system uptime and faster recovery after power cycles; accelerate virtual machine storage; deliver higher performance to multi-node, distributed cloud applications; and offer advanced encryption for persistent data built into the hardware. These benefits will have a significant impact on real-world data center operations. For example, for planned restarts of a NoSQL in-memory database using Aerospike* Hybrid Memory Architecture, Intel Optane DC persistent memory provides a minutes-to-seconds restart speedup compared to DRAM-only cold restart. On memory-intensive workloads such as Redis IMDB server, Intel’s persistent memory enables higher memory capacities, delivering more server instances at the same service level agreement (SLA) performance when compared to a system configured with just DRAM. 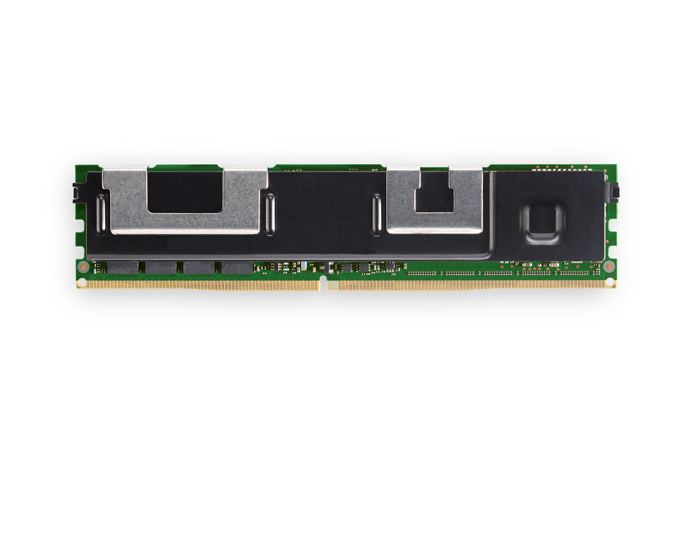 Intel Optane DC persistent memory has generated a lot of excitement among our customers who are targeting the technology to fill the capacity, performance and latency gaps that stagnate current storage architectures. In an effort to streamline broad adoption, we have invested several years building a significant ecosystem of developers and enabling independent software vendors (ISVs) globally to target this new class of memory. Working closely with these partners, we are creating and extending a whole new generation of applications and services that will deliver revolutionary capabilities to data center applications. 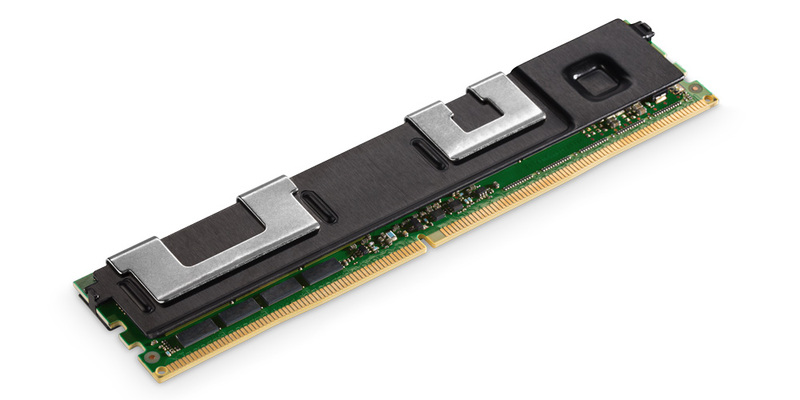 Intel Optane DC persistent memory is sampling today and will ship for revenue to select customers later this year, with broad availability in 2019. In an effort to further jump-start broader software development, we are offering developers remote access to systems equipped with Intel Optane DC persistent memory for software development and testing through our Intel® Builders Construction Zone. As technologies like Intel Optane DC persistent memory come to market, systems architects and developers should consider new methods for data access and storage, and uncover opportunities to remove throughput bottlenecks. These new methods could also result in deriving more value from data. The combination of Intel Optane DC persistent memory with our performance-optimized Intel Optane SSDs and next-generation cost-optimized 3D NAND SSDs with Quad-Level Cell (QLC) technology will further deliver storage efficiency to warm data as an alternative to relying on HDDs. We invite developers to learn more about Intel Optane DC persistent memory, Intel Optane DC SSDs and Intel 3D NAND, access training resources and apply for remote access to systems featuring these technologies on the Intel Developer Zone. 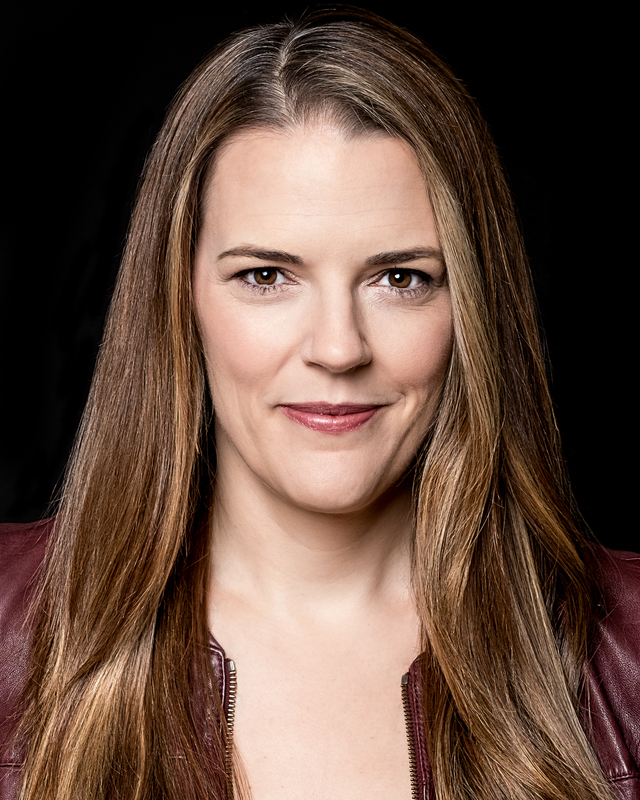 Lisa Spelman is vice president and general manager of Intel Xeon products and data center marketing in the Data Center Group at Intel Corporation. Results have been estimated based on tests conducted on pre-production systems, and provided to you for informational purposes. Any differences in your system hardware, software or configuration may affect your actual performance. Software and workloads used in performance tests may have been optimized for performance only on Intel microprocessors. Performance tests, such as SYSmark and MobileMark, are measured using specific computer systems, components, software, operations and functions. Any change to any of those factors may cause the results to vary. You should consult other information and performance tests to assist you in fully evaluating your contemplated purchases, including the performance of that product when combined with other products. For more information go to www.intel.com/benchmarks. Intel, the Intel logo and Intel Optane are trademarks of Intel Corporation in the U.S. and/or other countries.